This survey was aimed at assessing the Christmas spending habits in the United Kingdom (UK) in the year 2017, asking the question "How many people are you planning to buy Christmas presents for?". 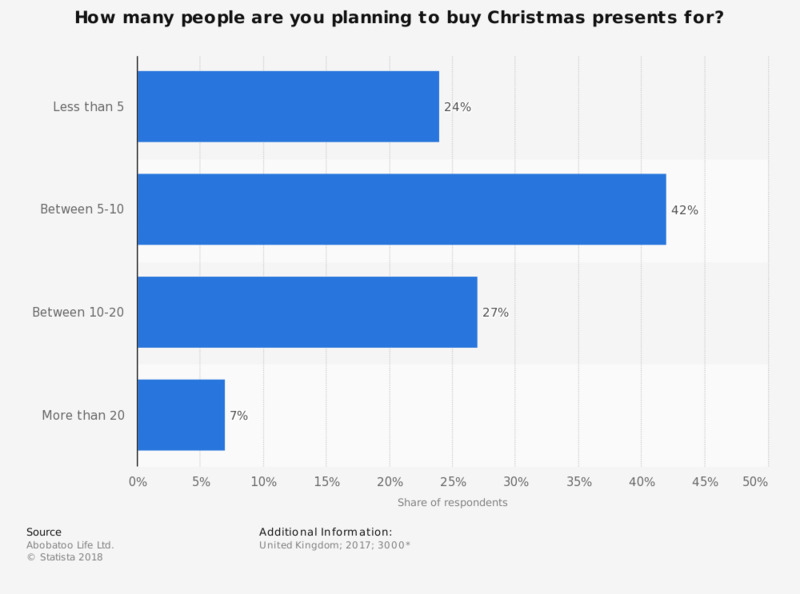 The majority of shoppers reported planning to buy presents for five to ten people, amounting to 42 percent, while almost one quarter stated buying presents for less than five persons, accounting for 24 percent. To what extent do you agree or disagree with the statement "The first place I'll go to do January sales shopping will be online not in store"?